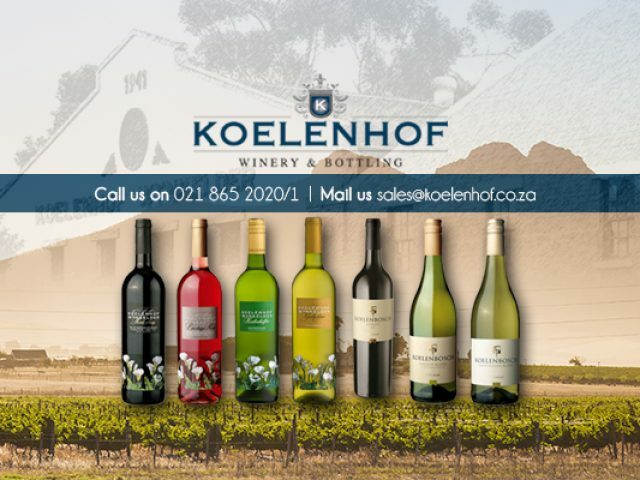 Koelenhof Wine Cellar is a recognised, award-winning and celebrated wine producer and function venue. Come and enjoy the wine estates in Melkbosstrand and nearby! Enjoying fine wine is one of life's greatest pleasures, and doing so while during vacation time is even better! As one of the most popular holiday destinations in the Western Cape, Melkbosstrand sees countless holiday goers come and go each year. Almost all holiday goers like to partake in fun activities while on vacation, and wine enthusiasts in particular enjoy the prospect of exploring new wine farms. Although there are no wine farms in Melkbosstrand itself, there are many celebrated and prestigious wine farms in the surrounding areas for wine lover to enjoy! Holiday goers need simply hop into their car and take a drive around the area to explore the region and discover new and exciting wine farms en route! At the wine estates surrounding Melkbosstrand, visitors can enjoy fun and informative wine tastings, dine at outstanding restaurants, shop for wine and partake in other fun activities. Feel free to browse the advertisements below to find out more about the wine estates surrounding Melkbosstrand.